Be careful not to bite or chew on the side of your root canal. It can cause tenderness and make the area more sore. The opening in your tooth is restored with a temporary filling material, it is not unusual for a thin layer to wear off in-between appointments. However, if you think the entire filling has come out, contact our office. 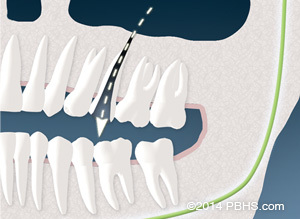 Root canal treatment is only one step in returning your tooth to full function. 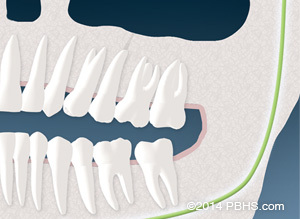 A proper final restoration of the tooth is extremely important in ensuring long-term success. Contact your dentist as soon as possible to arrange your next appointment. If your tooth is being treated in more than one visit by Dr. Cox or Dr. Lambat, do not return to your dentist for the final restoration until the root canal treatment is completed. Your tooth is more prone to fracture immediately after endodontic treatment. You should chew on the other side until your dentist has placed a core build-up and a protective restoration, usually a crown. If your tooth’s strength is seriously compromised, your dentist may place a post and core build-up inside the tooth. Your dentist will determine the appropriate restoration to best protect your tooth.